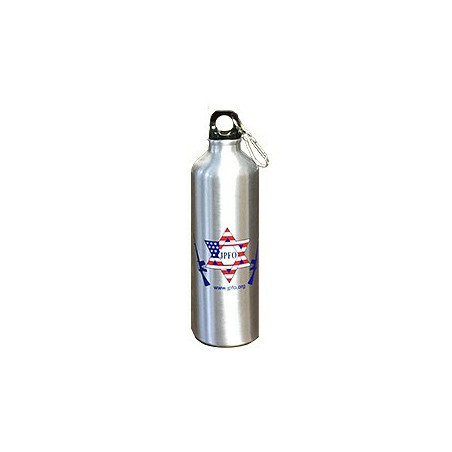 This best selling light-weight aluminum water bottle is just the thing when out and about - traveling, back-packing, in fact any situation where you need to keep hydrated. Capacity is 24oz. 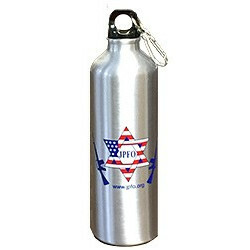 It has the JPFO logo printed on it and also has a simple clip attached to the top which can be used to hold it to a belt or back-pack loop etc. Please call the JPFO order line, 800-869-1884 for information on quantity discounts of 5 and over, as well as shipping options outside the lower 48.